We are a family run business that has now been established for 10 years. Roofers based in Deal, Kent, we also cover Sandwich, Dover, Folkestone, Kingsdown, Canterbury and the surrounding areas, we carry out roofing works for both domestic and commercial clients. We are flat roof specialists qualified in traditional felt roofs, we also can provide Firestone rubber roofs with a 40 year life expectancy and new advanced fibreglass roof systems, all other roofing work and repairs are also considered. 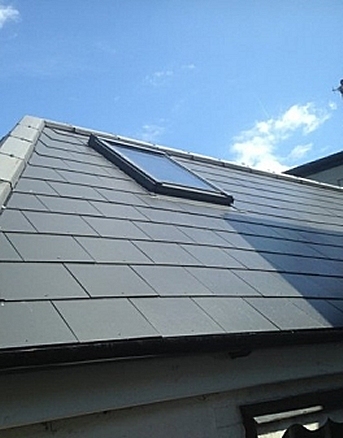 Whether you need Flat Roofers Sandwichor Dover, Roof Repairs Folkestone, Kingsdown, or Flat Roof Repairs in Canterbury. give us a call and we will give you dependable quote. Oakarly Roofing offer a professional and reliable service with great customer service and competitive prices. If you have a solar panel that has become a meeting place for pigeons and sparrows, this will become protection in the wind and eventually the right spot for a nest, this can affect the performance of the solar panels and can be costly. Need to know more? Click Here, to see a recent job Click Here. We cover Deal, Dover, Sandwich, Folkestone, Kingsdown & St. Margarets, see our reviews, Click Here. Copyright © 2016 Oakarly Roofing | Roofing Contractors in Deal,Dover,Sandwich and Folkestone.